The Toyota 4Runner has dazzled critics and customers alike with its fantastic safety scores and sensational performance, and savvy Carmel and Greenwood shoppers know that a used Toyota 4Runner is an absolute steal, especially if you’re looking for a 3rd row seat. If you’re looking for some of the top Toyota SUVs near Fishers, head to O'Brien Toyota to find your perfect match. But first, take a look at what’s in stock below! PRICED TO MOVE $2,700 below NADA Retail! iPod/MP3 Input, CD Player, Running Boards, Aluminum Wheels, 4x4. KEY FEATURES INCLUDE 4x4, Running Boards, iPod/MP3 Input, CD Player, Aluminum Wheels EXPERTS RAVE 5 Star Driver Side Crash Rating. 5 Star Passenger Side Crash Rating. A GREAT VALUE This 4Runner is priced $2,700 below NADA Retail. VISIT US TODAY You've come to the right dealership! At Tom O'Brien Chrysler Jeep Dodge Ram we provide our Franklin, Indianapolis and Shelbyville customers with everything automotive, including great prices and customer service. You will find your favorite car models at a competitive price. Pricing analysis performed on 4/11/2019. Please confirm the accuracy of the included equipment by calling us prior to purchase. Limited trim. CARFAX 1-Owner. $1,500 below NADA Retail! Heated Leather Seats, Multi-CD Changer, Dual Zone A/C, iPod/MP3 Input, Alloy Wheels, 4x4, Running Boards, Edmunds.com explains The 4Runner legend continues.. CLICK ME! KEY FEATURES INCLUDE Leather Seats, 4x4, Heated Driver Seat, Running Boards, iPod/MP3 Input, Multi-CD Changer, Aluminum Wheels, Dual Zone A/C, Heated Seats, Heated Leather Seats MP3 Player, Keyless Entry, Privacy Glass, Child Safety Locks, Steering Wheel Controls. EXPERTS CONCLUDE 4 Star Driver Front Crash Rating. 4 Star Passenger Front Crash Rating. PRICED TO MOVE This 4Runner is priced $1,500 below NADA Retail. WHO WE ARE Huge Selection - Low Prices - Award Winning Service. Let our Family work for you - Since 1933! Pricing analysis performed on 4/24/2019. Please confirm the accuracy of the included equipment by calling us prior to purchase. CARFAX 1-Owner, ONLY 9,149 Miles! PRICED TO MOVE $4,400 below NADA Retail! Heated Seats, NAV, iPod/MP3 Input, CD Player, Onboard Communications System, Satellite Radio, Alloy Wheels, Tow Hitch, Back-Up Camera, 4x4 SEE MORE! KEY FEATURES INCLUDE Navigation, 4x4, Heated Driver Seat, Back-Up Camera, Satellite Radio, iPod/MP3 Input, CD Player, Onboard Communications System, Trailer Hitch, Aluminum Wheels, Smart Device Integration, Heated Seats Rear Spoiler, MP3 Player, Privacy Glass, Keyless Entry, Steering Wheel Controls. EXPERTS ARE SAYING Edmunds.com's review says The off-road performance that 4Runner buyers seek is excellent. A top performer in this class.. AFFORDABLE TO OWN This 4Runner is priced $4,400 below NADA Retail. PURCHASE WITH CONFIDENCE CARFAX 1-Owner MORE ABOUT US Huge Selection - Low Prices - Award Winning Service. Let our Family work for you - Since 1933! Pricing analysis performed on 4/3/2019. Please confirm the accuracy of the included equipment by calling us prior to purchase. Ready for a test drive in a used Toyota 4Runner? 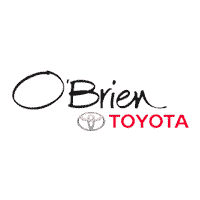 Head to O'Brien Toyota to get behind the wheel with our experts. Still shopping around? See how the Toyota RAV4 stacks up to the Honda CR-V!